I’m excited to bring you something very different than what we usually cover here on Unfinished Man. Today we’re going to talk about drugs. No, not those kinds of drugs, but instead a range of “smart drugs” – also known as Nootropics – which a person can use to improve memory, learning, and overall brain function. I’ve been fascinated with them for years, and asked John Holcomb of Brainpower Nutriceuticals if he would mind sharing some information with our readers. John was kind enough to put together this highly detailed article on which nootropics are available on the market, how each of them works, and why more people haven’t heard of them. It’s a lengthy read, but don’t let the wall of text dissuade you. Once you start reading, I promise you’ll be glued to your screen. Nootropics are a topic most have little knowledge of outside of scare articles in mass-market publications, most bemoaning the abuse of Adderall, Ritalin, Optimind, and Modafinil (more info at Moda Pharma) by college students as giving them an unfair advantage. After about a decade of this kind of chatter came the movie Limitless and suddenly nootropics became a topic of interest to a more mainstream audience. Limitless is a movie about an experimental drug – NZT-48 – that gave users mental superpowers, tunnel vision, and a host of methamphetamine blackout inspired side-effects. It showed the main character transforming from a slacker to a prolific writer overnight simply by taking the pill. He then proceeds to become a stock market prodigy and eventually after some drama becomes a candidate for the US Senate. Many viewers were enchanted by the idea of genius in pill form and started scouring the internet for a similar remedy. As a supplier of nootropics, I’ve fielded countless inquiries from people looking for the silver bullet that will turn them into a genius without effort. I hate to be the bearer of bad news, but such a product does not and can not ever exist, though with the bad news also comes the good: what does exist on the market does give the majority of users a significant benefit without any of the side-effects that Limitless used as a plot device. Before I get into any more detail on this, let me list some of the various categories of nootropics and how they function. Choline: The mother of all nootropics is choline. Choline is a dietary nutrient found primarily in eggs, meat, seafood, and dairy products and over 90% of the population is in a state of deficiency. While the body can produce choline, it requires supplementation from dietary sources for optimal performance. Choline is used to build and repair cell walls since it is a rate limiting ingredient in the production of phospholipids. It is also a critical part of a neurotransmitter called acetylcholine, which is the primary neurotransmitter that cholinergic nootropics interact with. Acetylcholine (hereafter ACh) is critical for memory recording and retrieval, cognition, and plays a role in mood regulation. People deficient in choline will find that their memory capacity is poor, their cognition sluggish, and generally that they’re functioning in a fog. Choline can be supplemented in a number of ways, from Alpha-GPC products at the high priced and very effective end of the scale, to choline citrate at the midrange, to choline bitartrate at extremely low prices. Any and all nootropic regimens should focus on ensuring that choline levels are sufficient or they will not be effective. Reversible acetylcholinesterase inhibitors: Acetylcholinesterase is an enzyme found in the synapses of neurons that mops up acetylcholine after signal transmission. Incidentally, irreversible acetylcholinesterase inhibitors are used as nerve gases since they will prevent a muscle from relaxing after a contraction signal is sent to it by keeping the contraction signal (ACh never is cleared from the synapse, so the signal is seen as constant). For nootropic purposes we look at reversible inhibitors that slightly increase the length of the neurotransmitter pulse. If you think in terms of the spark plug in a car engine, a reversible acetylcholinesterase inhibitor allows the spark to stay “sparky” for longer thereby ensuring a better rate of fuel burn (incidentally, this is something that many spark plug manufacturers strive to do through adjusting the shape of the plug tip). In terms of nootropic use, it gives the brain a better chance of interpreting signals and can enhance both cognition and memory I/O in a meaningful way. Unlike drugs that increase neurotransmitter production, these mimic that effect by letting the ACh you already have survive in the synaptic cleft longer. The two most common inhibitors are galantamine and huperzine A. 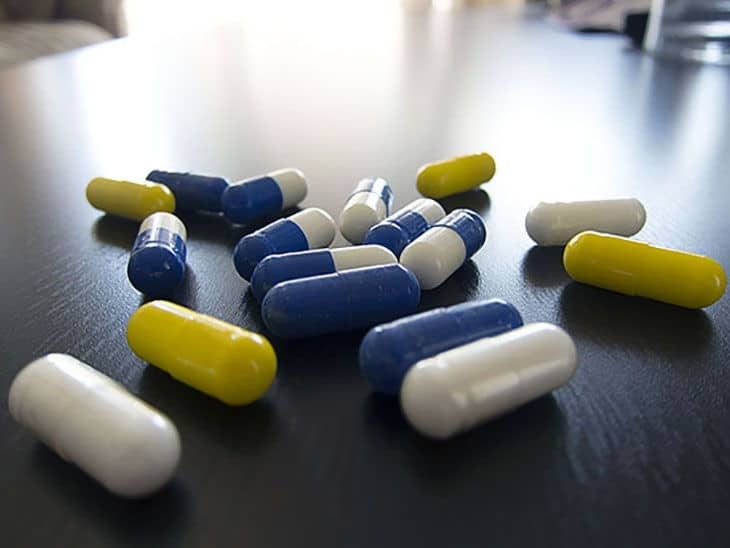 Unfortunately, while you can get a moderate boost from taking these, the limiting factor is that if they were any more potent they could cause you injury (and overdosing on these is a very bad thing to do). These are best used with other cholinergic nootropics rather than by themselves. Vasodilators and metabolic enhancers: Certain vasodilators and metabolic regulators specialize in increasing blood flow and ATP metabolism in the brain. Most of these are rather mild in their nootropic effects, though to people with certain medical conditions these can have a noticeable effect. Included in this group are Picamilon, Coenzyme q10, and Vinpocetine. Like with acetylcholinesterase inhibitors, overdosing is a real possibility so these are supplements you want to carefully manage the dosing of. Stimulants: Caffeine, amphetamines, and nicotine all fall into this category. While caffeine’s effect is primarily limited to increasing alertness, the others exert their effects by increasing the amount of neurotransmitters in the neural synapses or by direct receptor stimulation. While this gives a noticeable temporary effect, it also causes a rebound at the end of dosing that decreases cognitive abilities and over time can permanently impair your mental faculties. All of these “supplements” by nature are addictive. Racetams: This is my personal favorite in terms of nootropic use due to the general effectiveness and tested safety of the chemicals. Generally speaking, the nootropic effects gained are of the same general type that is seen in amphetamines, though the mechanism that they use to achieve their effect is quite different, longer lasting, and without a rebound to subnormal neural efficiency. While amphetamines flood your synaptic clefts with excess neurotransmitters to get the job done, racetams will lightly bond to the receptors temporarily changing their shape and making them more effective at utilizing the neurotransmitters you already have through allosteric regulation. The beauty of this system is that nothing is irreversibly changed in your body: as easily as it bound to the receptor, the racetam molecule can detach unchanged either to enhance a different receptor or be excreted. Furthermore, since the body isn’t breaking down or processing the racetam molecule, there are no worries about breakdown byproducts or metabolites causing undesired effects in the system. In the end, you have a potent nootropic effect without the side-effect profiles or safety hazards of other agents such as amphetamines. Since the unique shape of each racetam makes it more likely to bind to certain subsets of neuroreceptors, racetams are often stacked together with great results. Piracetam: This is the most common, the best studied, and the most cost effective of the racetams. It can dramatically enhance general cognition, memory I/O, and linguistic skills. Being water soluble, it has a long half life in the system, but can take up to 6 weeks of daily dosing before full effects are apparent. Typical dosing is 2-5g per day. Oxiracetam: Another water soluble racetam, this can take up to two weeks for full effects to be apparent. Unlike the other racetams there is very little memory enhancement, though there are none that enhance spatial reasoning and logic nearly as much. Many also experience a moderate mental stimulant effect. Typical dosing is 1-2g per day. Aniracetam: A fat soluble racetam, meaning it is fast acting. Unfortunately, this also means it is fast to exit the system, with typical effectiveness in the 6-7 hour range at typical dosing levels. Of all the racetams this has the greatest effect on memory I/O and creativity. Uniquely, it also exerts a mild anxiolytic effect making it sought after by those seeking stress relief. Typical dosing is 500-800mg every 6-7 hours. Pramiracetam: Another fat soluble racetam, it gives good general cognitive and memory enhancement, but uniquely it has a focusing and motivating effect that many compare to stimulants. Many people use this as an “as-needed” study aid for cram sessions, exams, or writing papers in much the same way people will use amphetamines. Unfortunately, this is also the most expensive racetam on a per-dose basis. Typical dosing is 200-600mg every 7-8 hours. Noopept: This is the newest entry to the racetam lineup, and is wildly different in structure when compared to the others. For the longest time it was imported in OTC form from Russia, but in the recent past has become available in bulk. The effects are quite unique, as well, since while it has some of the features from all the other racetams, it has no stand-out feature that sets it above the rest. This is the only racetam that has a reachable overdose level, and since dosing is 20-30mg every 7-8 hours unless you have a precise milligram scale or pre-dosed capsules it is quite feasible to get yourself into to trouble with this. Unlike the other racetams this does require a small level of metabolism before it goes active in the body. Common to nearly all the racetams is a very bitter taste that is nearly impossible to wash away. For this reason many opt to either buy their powders pre-encapsulated (more info at Nootropics Depot) or purchase a capsule machine and do it themselves. Side-effects from racetams are usually limited to headaches if you are choline deficient, and increased urine odor since they are filtered by your kidneys. I’m often asked what I recommend for someone wanting to give them a try. For nearly everyone the best start is the most basic: Piracetam with a choline supplement if needed. No other nootropic is as cost-effective or has had as much clinical safety testing to back it up. The one caveat with racetams: from a wealth of anecdotes about a third of the population is non-responsive or only mildly responsive to one or more types, and about a third are high responders that can experience spectacular results. This is based on your individual brain chemistry and can’t be overcome regardless of dosing. It is vanishingly rare to be a low or non-responder to all types. Nutritional supplements: There are a wide variety of nutritional supplements that can enhance brain functioning—particularly in the deficient—such as Sulbutiamine (vitamin B1). I could write a novel on this subject, though it is best summed up simply: a balanced healthy diet goes a long way toward improving brain function, and these are best used to fill any deficiencies. No one Talks About this Stuff! By now you’re probably asking yourself why you’ve never heard of any of this before, and why it isn’t available at your local health food store. First of all, some of it it: choline, huperzine A, coenzyme q10, and a number of other supplements are out there, though it is rare to see them marketed as nootropics. This isn’t a matter of safety or honesty in labeling so much as politics and big government in action. While there has been a healthy market for many nootropics for decades (after all, piracetam was developed in the 60s), it has never hit the mainstream because it is seen as cheating. While some see it as unlocking their full natural potential, others see the use of nootropics as no different than steroid use in athletics, giving the user an unfair advantage over those that don’t. Unlike in athletics, academics isn’t necessarily a zero sum game. While in a race there is necessarily a winner and a loser, nobody in academics is held back if another student is better able to retain their information. Unlike cheating scenarios that can earn a student academic recognition for material they did not or could not pick up, nootropics enhance a students ability to gain and retain new knowledge. While I would hate to find out that my physician had used crib cards to make it through medical school and then cheated on his licensing exams, I would have no problem trusting one that used nootropics to maximize their learning potential. Unless you are looking from the perspective of the government, there is never any downside to greater intelligence and recall. That argument aside, the primary reason that you don’t see these products in mainstream production and retail is government regulation. I primarily deal with regulation in the US, though am familiar with the laws in other countries and in most the reasons for a lack of availability are the same. In many nations these are considered to be prescription medications, but unregulated for possession (this is typically the case for the race tams and sometimes some of the others). In the US, some are considered food supplements and are unregulated. Some are considered nutritional supplements and are regulated only in the manner of their production. Some are considered orphan drugs and while there is no law against possession or use, it becomes stickier when it comes to their sales. Then again, there is always the option to order your prescriptions online. This not only saves you money, but it allows you to avoid any potential difficulties that may arise with you own country’s policy regarding prescription medication. Choosing to order online is the smart way to go, especially if you know there are cheaper alternatives out there. If you are sick and you need medication, there’s no reason not to look into this method of producing medicine. Even if you can afford your medication with no problems, why would you spend the extra money when it’s not necessary? In the US, racetams and certain other nootropics can only be sold as research chemicals, not for human consumption. Despite this fact, many companies still market their wares as supplements on various merchant sites such as Amazon and Ebay and as the FDA shuts one down two more pop up. Other companies have relabeled their products as research chemicals in an effort to sidestep the FDA’s jurisdiction. On the customer’s side, it is completely legal to order and possess any amount of racetams if ordered domestically, and up to a three month supply (as defined by Customs) if ordered from overseas. Should anyone desire to spend millions of dollars to apply for OTC drug status for any of the racetams these limitations could be lifted, though since none are patentable the limitations would be lifted for everyone with no way to recoup your costs. It isn’t surprising that nobody is willing to be the one footing the bill. In Canada, Great Britain, and Australia the situation is a bit different. In all three countries racetams are considered to be prescription drugs. The problem is that they can’t be sold legally in-country since none have proper coding for the medications in their health systems. The only legal way to acquire racetams in these countries is to import them, and you are again limited to a three month supply. Australian customs in particular is known for hassling people about import (technically Piracetam is scheduled, so in rare instances they may request proof of a prescription), though if the products are properly labeled they usually get through. As with any supplement routine it is best to talk to your health care provider first to ensure that there is no conflict with existing medications or conditions. It is safe to say that the majority of people can improve their academic ability and possibly even their quality of life from a rather modest nootropic regimen. While the idea of enhancing ones intelligence through the equivalent of taking your daily vitamins seems shocking to some, it is a definite possibility for those inclined to try to reach their full potential. I took Piracetam from 2003 to 2009, 800 Mg, 3 times a day. The drug helped me quite a bit with ADD symptoms. This having been said, there are some significant neurological adaptations that come with using this and any other drug that alters dopaminergic processes; after stopping the drug in 2009, I experienced significant memory and ADD issues that took several months to resolve. While the drug is relatively safe with a very high LD50, keep in mind that the CNS will adapt / change with extended use. ** Should have noted that Piracetam has effects on a handful of neurotransmitter systems including the cholinergic and glutamatergic systems, not just the dopaminergic. Chuck, do you mean to say that they lose effectiveness over time, as your body adapts to the constant presence? i.e. A person will build a tolerance to these substances? No, I didn’t feel as if my body built a tolerance to the drug. Instead of titrating the dosage down over time, I abruptly stopped taking the drug after 7 years of daily use. After about a week, I found myself “missing words” now and then, and was -so- unfocused at times that I would sometimes lose my place while performing tasks. It wasn’t as bad as it sounds, but it was irritating. The problems abated after about 10 weeks. I asked my physician about it, and found that there’s not a lot of published data on the symptoms I experienced (since I wanted to stay on the happy side of the law, I included him in my decision to take the stuff from day one, and asked him to write a prescription for it). I work in research at a University, and have since gathered a fair amount of data on how the drug interacts with the CNS, and have my own theories (i.e. without research or data) on why I had problems, and why it wouldn’t hurt me to start using the drug again with a different dosing schedule. I still use Piracetam with great benefit, but have stopped taking the drug each and every day / 365 days a year. I’ve had no problems with it since taking it on a staggered schedule. I’ve experimented with many Nootropics … including Modafinil and Piracetam. Modafinil isn’t something I’d wish on anyone (reports abound about devastating side effects and long-term problems). Piracetam, too, I’ve found isn’t worth the relatively minor upside. While it does a lot to reduce ADD, nervousness, and anxiety … it does relatively little to increase performance … and comes with wicked withdrawl symptoms. If you want to increase productivity, there’s a ton more (and better) stuff you can do than trying to jury rig things with Piracetam, IMO. The author is clearly biased as well — he profits from selling this stuff. What “wicked withdrawal symptoms” have you experienced? My feelings are as anecdotal as yours, but I’ve been taking Piracetam off and on for years and have never, ever, experienced any withdrawal symptoms, nor have I read of any in others. I’m genuinely curious what happened. What side effects are you referring to, and can you link to any of the reports about long-term problems? I’ve taken a few weeks worth of Armodafinil (Nuvigil) over the past year and noticed significant cognitive enhancement. The only side effect I experienced was occasional headache (usually when sleep deprived). Peter, what exactly is the ton more (and better) stuff you can do? I think you left off exercise in the “Where to Start?” area. So this is a “highly detailed article” about the “facts” and there is no explanation about side effects nor about bad effects? Is there any explanation on what you do when you memorize something wrong? What if I want to get rid of the “tattoo” I got because of these chemicals, which “laser” can I use to “forget”? Do you tell your customers that if they take a medication for several weeks which increases your capabilities to memorize, that any sudden bad experience can become a trauma? He does talk about side effects? I think you have it backwards..water soluble substances wash out of your body sooner than fat soluble substances. Thanks for publishing this great article on Nootropics, we need a lot more exposure to this glorious drug, After studies and self testing, we found that noopept was one of the best powders, bought my stock from clevermeds.co.uk and found out of testing that noopept was by far the most effective! I took Piracetam regularly over last summer. They’re nothing at all like d-amphetamines. This was a very informative article as well as the comments. I don’t think the author is being biased in his assessments, just providing information for people who seek it. Could you post some links to studies that demonstrate these effects? After reading this, and then reviews on Amazon and articles on Wikipedia (intense research, I know) I’m pretty keen to give racetams a try. It seems like a minority of users have bad experiences, but I don’t think that is un-ordinary for any supplement. Most of the reviews on Amazon were very positive, with one or two (out of an average 12 or so) per product being negative. I am comfortable with the odds of experiencing beneficial effects, and given I could use a leg up in my studies this semester I think it’s worth a shot. I eat pretty well, exercise daily, have low, infrequent alcohol consumption, and get adequate sleep, so I think I’m at a good starting point for these medications. I’ll post back results later in October/November. I’m also thinking of giving this a try, been having a hard time focusing and get work done lately (here on the site). Nootropics works!!! Especially Piracetam. It can be used individually, but I find it works best in a stack. There are products now that are using nootropic based stacks as cognitive enhancers. What products are using nootropics based stacks as cognitive enhancers? I’ve been using Alpha Brain and it definitely has helped increase my ability to concentrate and has elevated my mood in general. Best way to describe it is that it has a subtle yet remarkable effect in improving brain function overall. Hard to describe because there is no immediate acute effect – at least not for me. “10less” will get you a discount on any Alpha Brain order from their website (code should work on their other supplements too). I haven’t experienced lucid dreams due to using Alpha Brain, but my dreams have become more detailed and interesting. Personally, I didn’t buy it to have lucid dreams, so I’m still satisfied. It has a money-back guarantee, which makes it at least worth a try if you want to try a balanced nootropic stack. Cheers. Yes, they’ve clearly helped your mental clarity. In one of his TV shows dr. Michio Kaku mentioned about a nootropic that have no side effects at all, that nootropic help the brain produce new neurons and cure itself of brain damages. Unfortunately I forgot the name of that nootropic. This article is somewhat accurate. For those of you who are asking for evidence that these nootropics work, there’s a little tool on the Internet called Google; if you search any of these substances, tons of studies will come up. Piracetam is well documented as being something that increases IQ in healthy adults, among other things, and it is actually neuroprotective. As you use more of it, your brain works better because less damage is happening to it, in addition to a host of other effects I don’t have the energy to discuss. Diet and exercise are a good base: nootropics work far better with those than without. However, diet and exercise simply cannot do what nootropics do. While some say that these aren’t brains in a pill, I find that debatable. I believe a better explanation is that they give you more fluid intelligence: it’s way easier to learn things when you’re using them, but if you’re not doing anything different, or trying to learn, it won’t make a difference in your life. I’m a college kid in a top 5 university in the US. Last year, I was essentially an idiot, but I still pulled a 3.5. Right now, I’m on a stack that includes a few of these, and I’m able to pick up proofs in our Analysis course after the professor gets stumped midway and finish them, without any prior knowledge of the math behind the proofs. I won’t say that nootropics are the sole reason I can do this, but they surely have helped as part of my daily routine. Could you share whats in your stack? I am new to using nootropics and am interested in hearing more about what stacks works for some of you. I am currently taking 1600 mg Piracetam with 500 mg choline first thing in am and another 1600 of Piracetam in the afternoon. I definitely have noticed increased focus and “alertness” but am still getting used to it – and identifying what exactly it is doing for me beyond that. What works and in what doses? Will I be able to get down to 800 mg piracetam and 250 mg of choline twice a day with the afterlife? After reading the article and all the comments i will have to do some research on these items. I would like some kind of edge since I work in the I.T Dept . Information is always changing and need to keep update all the time. So far from what I read is that Pramiracetam is good for learning and studying. Piracetam seems like a good product to try .. Hear a lot of nootropics will have to do research on that, and racetams same thing. Out of all 4 product for someone that wants an edge which one would you choose for someone looking to start any of these supplements? John is pretty busy at the moment, but I know exactly what he would say… Piracetam. It’s the Nootropic that he suggests everyone try first. Should these supplements be taken with a on/off period or taken everyday? I was also looking at combining the nootropic with Hydergine and Krill Oil, is this too much overkill? I am considering ordering the Noopept from http://us.ebid.net/for-sale/741459671280-noopept-mega-dose-choline-1000x-stronger-than-piracetam-smart-drugs-nootropic-70960125.htm . Anyone heard of them? I am very interested in this and have been thinking about trying a combo of Alpha GPC, Oxiracetam and Aniracetam (Aniracetam because Piracetam is really hard to find now and I can only find it in 50g bags and at 5g a day thats only 10 days worth). What I should point out though is that I have been self-medicating (under advise from my doctor) cannabis daily for a long time as it really helps with my arthritis (it is almost crippling) and wilst I maintain a fairly high cognative function (higher than most if you will excuse the pun) I am worried that these might work against each other or worse, does anyone have any experience with this? very intriguing article… humm, food for thought. After reading everything about this article I realized that majority of people experience headaches and bad sleeping habits, as main side-effects from using nootropics. I am thinking to give this kind of drugs a try, since I have to start working on my diploma and final exams….. but I am wondering if it is a good idea to use nootropics with Magnesium to cope with the side effects. I’m asking this because I use Magnesium always when I have less time for sleep (which as you probably know leads to migraines and exhaustion) and I am very pleased with the effects from Magnesium. Wikipedia has extensive knowledge on nootropics , you can check them out. I want to share my story and lots of very biased and subjective opinions about what you seek, having said it you may not read it because it may sound either sincere or stupid. I realize it know. The beliefs -> the education given from family, habits, mental concepts , self control+regulation , healthy lifestyle ,emotional balance (EQ), social integration, positive attitudes, are A LOT MORE IMPORTANT THAN HIGH IQ. My natural magic was all gone , when I quit the sports , start playing computer games (sleepless days sometimes 60 hours straight ) using 2 packs of smoke +10-15 cups of coffee every day for 9 years. And a shrink mocked me “Try to perform your work as normal people by working hard and planned”. When my natural cheat is gone I had to have the skills of study (use pen) – read straight and comprehend part by part 🙁 , work more , make plans , have rules of thumbs etc. Got the most of the skills including critical thinking (I was sooooo much a lateral thinker at university I found most of the equations during exam – reinvented them * intuitively). It was genuine HELL !. When I was a kid , scoring extremely high on every IQ exam and there always was an such impression about me “How can he calculate all of this without any pen so fast ! ?” etc… Never had a pen or book or notebook till I was 20 years old. Had the movie kind of recall ability. I was borrowing a pen at exams and finish 100 multiple choice question test around in 7 minutes with 1 mistake or none. I know it if you dont use your high IQ as a window of opportunity to build yourself a good mental shape and figuring out what life – systems around etc is, then its just a cheat code in a computer game (in matrix). And it will first thrill you then you will get bored from everything ,because they will seem very simple – unoriginal – without novelty. Then you indulge yourself a lot and take stupid risks because everything is too damn easy and so boring. I am really considering trying nootropics. I think i’ll start with piracetam and alpha gpc. My friend takes piracetam + choline and he says it works great. A little leary to try anyone here ordered from http://www.peaknootropics.com ? I too use intellimeds.co.uk for my pramiracetam which i notice you don’t review here, but it is 7 -15 times more potent than Piracetam and is legal in the EU. Not a massive selection but the Citicoline and Noopept stack is killer! Really made me feel more awake. I think i might get some Citicoline on its own. So I took piracetam, noopept, aniracetam, and Alpha GPC for about 3 months after this article came out. The first two weeks I saw a big improvement in my confidence and focus, but then that all quickly tapered off to normal again. I’m guessing that was placebo effects. When my stock got low I tried each on its own. I feel like the noopept actually made a difference, so I bought some bulk powder and I take it off and on now. Not the best method, but it does help me remember what I study better, I think. I’m not doing any real testing so I can’t say for sure. Right now I take Alpha GPC, because it also helps with my lifting program (there’s some iffy research on it giving strength improvements and increasing output of growth hormone after you lift, and for me it seems to actually make an improvement). I also have about a years worth of noopept to use up. Aniracetam can make me feel a bit more motivated if I pop it solo, but it wears off really quick. And piracetam doesn’t really seem to make any noticeable difference for me. That’s my two cents. Thanks for sharing your experiences. I do, however, have one question: were you also taking a source of Choline each day? In my experience, it makes a significant difference. Piracetam is subtle… you shouldn’t “feel” it like a stimulant, but if you’re getting a reasonable dose, then you should definitely notice when you’re NOT taking it. Does that make sense? Yep, Alpha GPC was my choline source; it’s the best one. I get what you mean about the subtle effects. That’s mostly how I feel about the noopept. There’s not a night and day difference all the sudden like in Limitless, but I can tell something is a bit off when stop taking it after being consistently taking it for a week. My dosage for piracetam was inside the effective range, but I just didn’t feel it, even after 6-weeks of loading. I followed /r/nootropics for a while and it seems to me I’m an unlucky non-responder. I’d try prampiracetam, but I’m pretty happy with the effects of noopept so I don’t want to spend on pram. Right, fair enough. I’ve met people who simply don’t respond to some of the nootropics, and unfortunately that’s just the way it goes. Pramiracetam isn’t my favorite, but you’ll certainly feel it. It’s a bit too pronounced for my tastes. Has anyone heard of the smart drug Nootrobrain? I’m putting together a nootropics myself. But I don’t have the funding to manufacture it at this time. So, I’ve started a crowdsourcing project. Wait… You can overdose on noopept? I’ve been taking 200mg Ed; please expound. That’s 20 times a standard dose mate. You may want to kick it back a notch. There’s no evidence for serious effects from higher doses though. But still… aspirin/tylenol/paracetamol are all pretty safe, but you wouldn’t pop 20 of them. Aspirin is pretty safe, as are most OTC medications… but Tylenol/paracetamol/acetaminophen really isn’t – it’s got a surprisingly low therapeutic index and plays hell with your liver. If you took 20 ibuprofen, naproxen, or aspirin pills, it’d strain your kidneys, increase your risk of a peptic ulcer, and thin your blood for a while; and unless you have related medical issues, you’d be fine. If you took 20 Extra Strength Tylenol (10 grams / 10 times the normal max dose of 1000mg), your liver would irreversibly fail and you’d die a painful death over three days. Alcohol makes this worse: if you’re a heavy drinker, liver failure can happen at doses as low as 6 grams (6x standard dosing). Even if you don’t drink often, if you take Tylenol while drunk, 4 times the normal dose (4 grams) can cause liver failure. Put another way: it’s actually significantly safer to overdose on morphine than it is to overdose on paracetamol/acetaminophen. I’ve been reading a ton on nootropics and think I’m ready to start my stack – going to try choline and a racetam. Any suggestions on which one to use? Piracetam is a good place to start. Question on i been on pirecetam for about 2 week on 1600g 3 times a day. Now is that to much to be taking since it’s my first time? I can’t really tell the difference does that mean I need to bump it up or stay on that dosage other week and find out what happens.. I was thinking of moving up to 2000g no monday and seeing how that goes. Any feed back please let me know. How does Ciltep play into all this info about nootropics? This is the supplement I’m currently considering giving a fair shot. while also providing consistency with energy and emotional stability. I use many nootropics I love noopept and adrafinil. The both enhance cognitive function! I couldn’t get through a work week without it! I’ve been really pleased with my results using Nootropics. I haven’t had any negative side effects. I’m really pleased with the results I am having. Alpha Brain has been my supplement of choice. Do not mess with these racetams (although many will), they will mess up your brain, it’s not natural. Go to the doctor, have your serotonin levels checked, etc. don’t just pump these chemicals into your body, you may be sorry you did. Many of them are prescribed or freely available OTC in the EU, but you’re certainly entitled to your opinion. What’s your experience with nootropic substances? Also, why do you suggest people check their serotonin levels in particular? That’s just one neurotransmitter out of many. There’s a lot of comments I see about articles not listing side effects. Not just here, but everywhere I’m reading. Articles are usually supposed to be of a certain length or they start getting lengthy (boring, in other words). The article should be an overview and not everything you need to know about X.
Nootropics are just like anything you take. Do some research on them and talk to your doctor. Some will work well for you and some won’t. The same with different people, and effects will vary with the individual. Most doctors have never heard of nootropics before, but I agree, research is important. Where do I get this drug? Which supplement do you mean? I was not believe on any of those nootropics to gain brain abilities. I never think that they can do right for us. I just believe on my diet and strength which is my very first will power to help my brain to keep strength. Diet and exercise are definitely very important too. Does anyone know of any piracetam-choline products like jaxsmart? Can anyone share their experiences with piracetam and choline stacks? Piracetam is worthless unless you’re a child or an old person. Pick a better racetam. People don’t realize that some nootropics and natural nootropic herbs are backed by research that stems from over 40 years of research. Piracetam, the first synthetic nootropic supplement is a good example. Also, many of the natural nootropics used in ayurvedic medicine for centuries. Personally, I think there are a ton of benefits that nootropics can provide to not only enhance cognitive functioning but also help to improve overall brain health. The truth is that big pharma is threatened by the fact that these alternatives are not showing a fraction of the side effects that many prescription medications have shown for years. I find it to be a real shame that certain nootropics like Picamilon which can be extremely effective at combatting stress and anxiety have been banned in the U.S. without one case of major adverse effects or death. Nootropics like Picamilon are not putting people into rehab centers and leaving them dependent on prescription alternatives like Benzo’s. Hopefully, research will continue and more people will learn about the many benefits that nootropics can have to enhance cognitive function and improve overall brain health. Thank you for sharing this well put together site!